Cambozola® is the signature cheese from the German company Käserei Champignon. 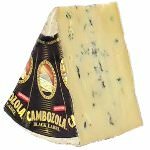 The secret to this cheese lies in the rich Bavarian milk used in its production, which lends Cambozola® an extraordinary flavor and velvety feel. 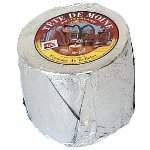 This triple cream cheese is mild and delicate and has subtle blue veins throughout the interior of the cheese, the rind of the Cambozola® is velvety white. 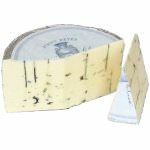 A cheese-marriage of a blue and a brie - a perfect cheese for those of you who want to appreciate a blue cheese, but don't want to start with a Blue Stilton or a Roquefort. We cut and wrap this cheese in wedge of 8 ounces and 1 pound. Ingredients: Pasteurized milk, cream, salt, microbial rennet, bacterial cultures, penicillium camemberti, penicillium roqueforti.